Additionally, security details for leadership at the VA were mismanaged and exposed the former secretary to lapses in protection, according to the report. In one case, keys to the VA motorcade were repeatedly stashed behind the door to the gas cap instead of being returned to a safe place. Secretary of Veterans Affairs David Shulkin testifies during a hearing before the Military Construction, Veterans Affairs, and Related Agencies Subcommittee of House Appropriations Committee March 15, 2018 on Capitol Hill in Washington. The report found a “lack of adequate threat assessments” led to “security vulnerabilities” starting as far back as 2015, but the failures were not solely the fault of the former secretary. “Secretary Shulkin relied on advice from staff … and no one raised any concern that his use was inappropriate,” the inspector general noted. The agency's inspector general offered a variety of recommendations including directing the VA police service to publish written policies on how security details should protect VA leadership. The Office of Operations, Security, and Preparedness agreed with each of the suggestions. "OSP will continue to work with OIG, all relevant VA stakeholders, and external agencies to ensure executive protection services meet the highest standards," the office said in response to the findings. The issues raised in the report were addressed after current VA Secretary Robert Wilkie took office in July 2018, Curt Cashour, the agency's press secretary, told ABC News. 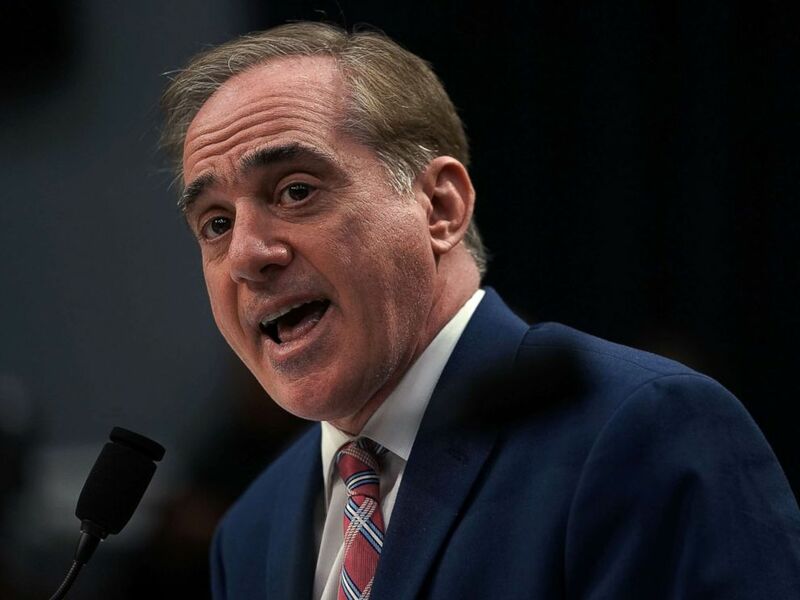 “Secretary Wilkie takes seriously any ethical breaches or violations of federal statute such as those identified in this report, and has made clear to VA employees that they will not be tolerated on his watch,” Cashour said in a statement. Thursday report wasn’t the first time the inspector general has investigated Schulkin’s personal use of government resources. Before his departure from the agency last year, the former secretary was found to have improperly accepted gifted tickets to the Wimbledon tennis tournament in London and spent more than $120,000 of taxpayer money on a European trip that consisted mostly of sightseeing. "There was nothing that was done improper," Shulkin told ABC's George Stephanopoulos on Good Morning America in March of 2018. "What happened was this was a politicized issue. This was used to try to decrease my effectiveness in getting the job done for our veterans." Shulkin and his wife, along with senior VA leaders and a six-member security detail flew a commercial airline to Copenhagen in July 2017 to attend a day-and-a-half of meetings with Danish government officials to discuss veterans issues, but the trip also included a day of tourist stops. According to the 2018 report, Shulkin's chief of staff misled VA ethics officials at the time so his wife’s travel expenses could be covered by the department.